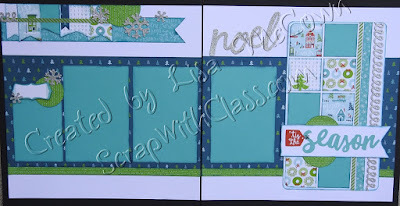 I'm working on my December scrapbooking pages and there are so many wonderful ideas from fellow consultants out there that I decided to use a few of their ideas. Here is a design that I copied from Laura Fairbrother. I started off with her design as inspiration, but quickly decided to just copy her design because who could improve on it. Thanks Laura. This next one was inspired by the talented consultant Tina Lovell. As you can see I have been having fun creating pages. And there are so many cute designs, that I decided to have a special extended class!! Our local class will be on Dec. 10 from 9am - noon. But you can certainly do these classes on your own too. 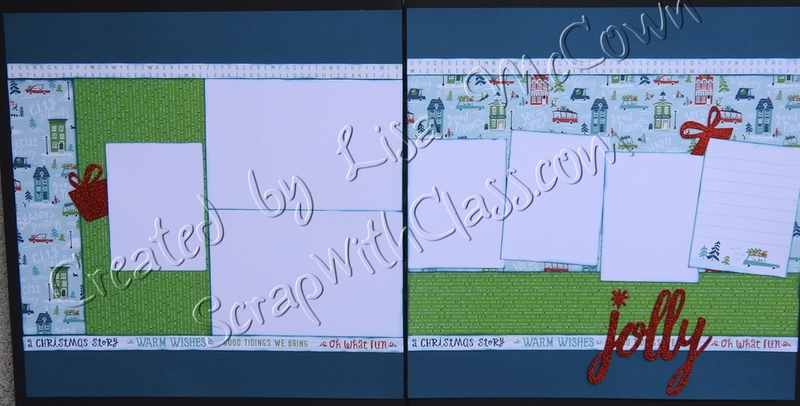 Order the regular Workshop kit ($29.95) and create these 4 beautiful pages shown above. But then there is more. 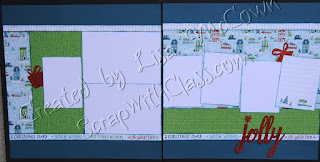 Purchase the additional cardstock pack ($9.95), and create even more pages (these designs are a secret just for my class participants). And you will get to stay all day. I'm even going to do a demonstration on fitting pictures to your pre designed pages. Of course, you can do these classes on your own too. Just order the supplies and I will email you all the cutting and assembly directions for the pages. 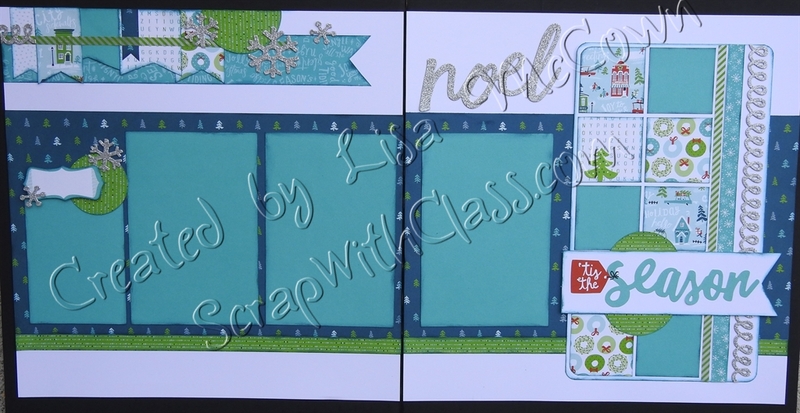 Here is a link to the kit and to the cardstock pack. If you are going to attend my local class, I would be glad to purchase the supplies for you. Just contact me and let me know that you are coming to class.